Using image recognition to identify friends and locations is a common feature on Facebook but this post is not about those simple capabilities of computer vision. We are going in-depth about image recognition and what social networks can do with image recognition. Besides photo tagging and categorization, Facebook is employing image recognition for a number of other important purposes. The most notable ones include scanning for inappropriate content in its network and enabling visually impaired users to get image descriptions of shared content. Image recognition is also likely to fuel better visual search on the social media. Facebook’s adoption of image recognition is helping lead the way for a full-fledged revolution of how visual content is handled online. While it’s not the only company that’s developing an image recognition technology, the top social media is used by billions of people around the world daily. This makes it able to set trends and push innovations that other players might not be able to. Facebook has also made a move to open sourcing its image recognition AI, which may turn out to be a game changer in the field. 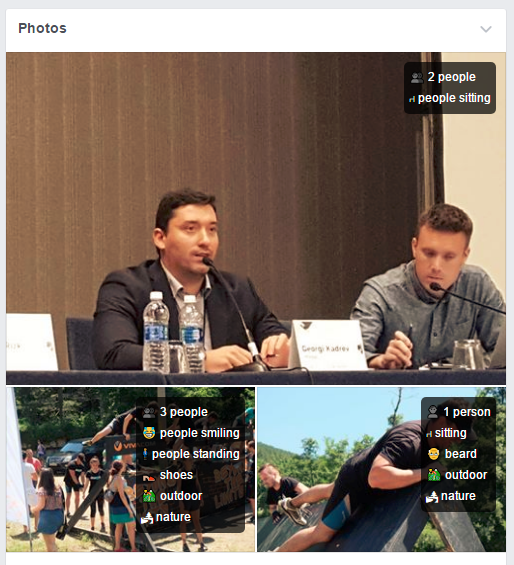 The most well-known application of image recognition is the photo tagging feature that Facebook offers since 2010. 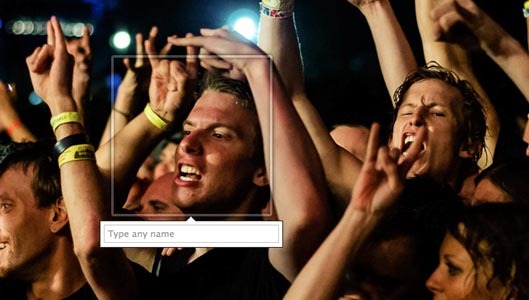 It’s based on facial recognition that enables automatic suggestions for tagging people on photos. Image recognition also can identify the location of where photos were taken. It’s the technology that powers the ‘Memories’ feature in users’ newsfeed too. While it’s been a huge boost in user experience, the feature has also turned controversial in terms of privacy and even led to lawsuits against Facebook. In the last months, Facebook announced that it has ramped up its image recognition API. Its image recognition engine called Lumos will power a new way for users to search through their uploaded photos. Instead of looking for an image based on the date, location and tags, they would be able to find a photo by entering a keyword signifying what’s on it. If you’re curious to know what Facebook can ‘see’ in your photos, you can check out the Chrome extension that displays the automated image tags it has generated. Facebook uses image recognition to fuel another important feature in its toolset. It’s the ‘automatic alternate text’ that identifies images to visually impaired users. The image recognition AI generates descriptions of what’s on a photo. In this way, it provides an alternative way for blind users to perceive the content of images. Twitter introduced such a feature in March 2016, and Facebook followed in April 2016. With the improvements of its image recognition AI in February 2017, Facebook now provides visually impaired people with even better descriptions of photos. Initially, they could get basic information about the main figures on an image. Now the engine can describe what action is taking place in the photo. Learn to smart crop and use it in as thumbnail saving you up to 30% posting time.. Image recognition is used by Facebook to scan for abusive, hateful and obscene content on the social media. It is steadily replacing the need for manual monitoring. 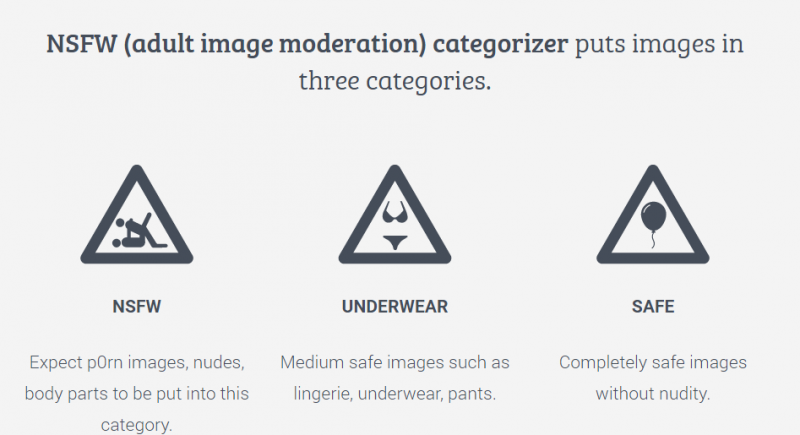 Imagga has developed its own NSFW classifier and offers content moderation solutions that can be used by any company that needs to keep tabs on large amounts of visual content. 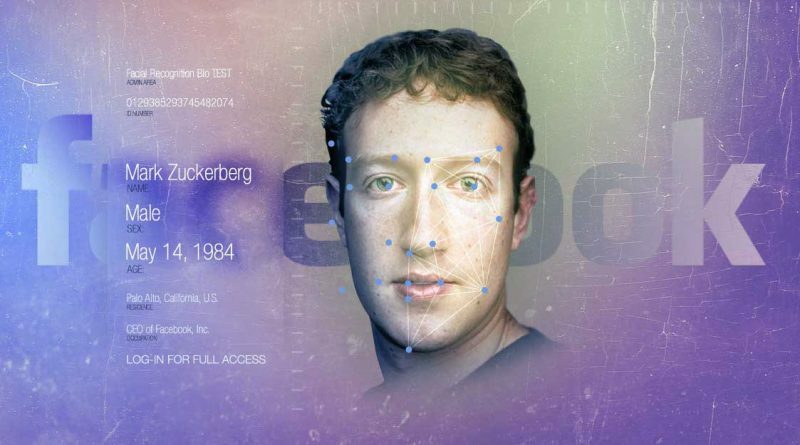 While Facebook uses of image recognition can be fascinating, they would not have been so important if the company was not the major player on the tech market that it is today. The significance of its machine learning for visual recognition go far beyond its immediate applications. Facebook is irrevocably making image recognition mainstream. Other tools and applications are steadily following the example and embedding image recognition in their products and services. This trend holds potential to transform many business venues – from creative agencies and marketing companies to e-commerce businesses. Special applications like Aipoly are even pushing the boundaries and providing a way for blind people to ‘see’ the world around them. In the marketing field, the popularity of image recognition can fuel enormous amounts of research about online users and overall trends. Advertisers have already realized the huge potential of Facebook’s image recognition capability. Data collected from visual analysis of shared content can inform better-targeted campaigns. Facebook’s technology is popularizing image recognition, but it’s far from being the only player in the field. Imagga’s API powers the image recognition needs of businesses that do not want to share data with big players like Facebook and Google through its on-premise offering. What uses of image recognition do you think will change the web and how? Share in the comments section and let’s have a talk.